Business success requires a “social media command center” with the right tools to do more than just listen. Your customers want to interact with you via social media today. Customers trust their peers the most. Know what they’re saying and influence it positively. Customers expect you to be listening. Engage with them on their terms to drive satisfaction. Unreported problems are worst kind of problems. Learn of problems and take proactive action. Know more than their twitter handle. 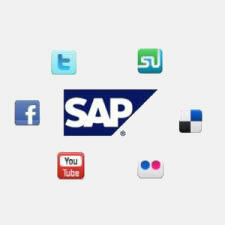 What’s so special about SAP Social OnDemand? Product inquiry response, risk management, etc.